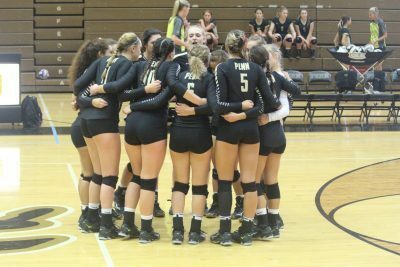 The Kingsmen volleyball team faced off against the Crimson Chargers from Elkhart Memorial on Thursday, Sept. 21. The Kingsmen swept the Chargers 3-0 with scores of 25-15, 25-9, 25-17. Alysaa Torres powers Penn with 13 kills, Italia Fields had 8 kills, Rachel Ruppert had 7 kills. Naomi Williams had an enormous 29 assists in the Kingsmen victory. Rachel Hickey lead Penn with 21 digs, Naomi Williams and Julia Beers had 14 digs, Sophia Cruz had 12 digs, and Kylee Hixenbaugh had 10 kills.